We always need help with harvest in the morning. Join us Saturdays from 9am-12pm at the garden. For larger groups, volunteering can be arranged by appointment by contacting our volunteer coordinator, Matt Vogel. In the spring of 2013 we received generous donations that made the first installation of citrus and banana trees possible. Over the next few years we have plans to expand the orchard increasing the varieties of fruiting trees, bushes and vines. One of our goals will be to be able to harvest year round from our food forest. Chickens have moved in, but there are a few more items to build mainly egg boxes, painting and door handles. Trinity Gardens is constantly a buzz throughout the year with bee activity. We are interested in having a bee hive on site for educational value and to have the opportunity to share honey to visitors as well as in our culinary classes. Every year we host hundreds of kids and parents for an adventure filled field trip to learn about nature and healthy eating through hands on activities. 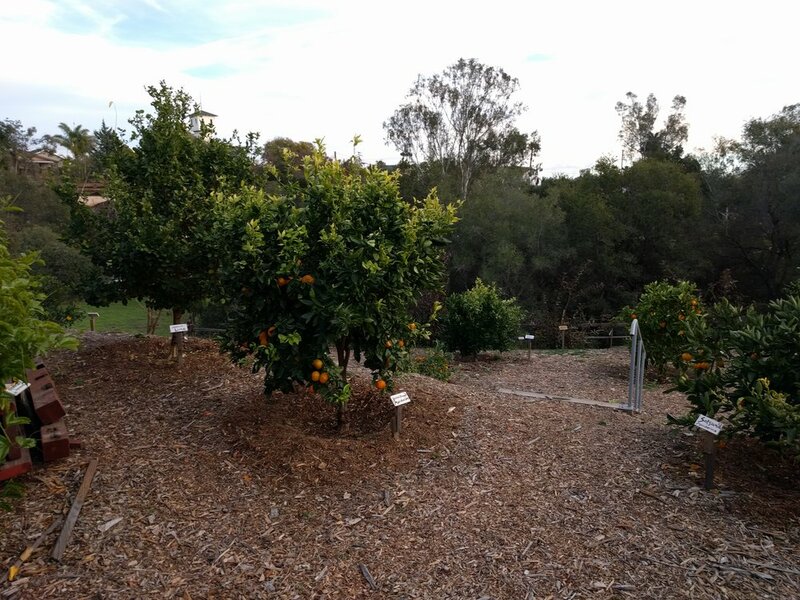 We grow 27 varieties of citrus in our orchard!